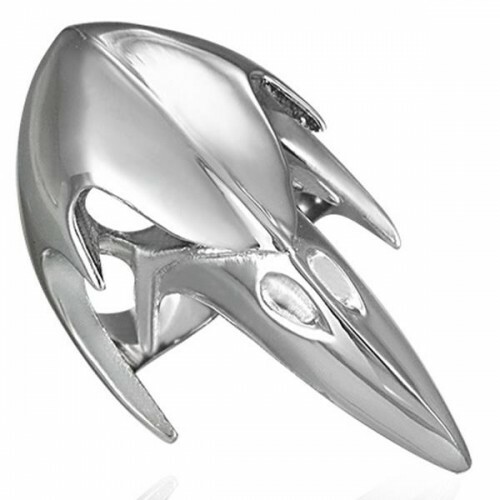 Steel ring that depicts a large dark- rock- or gothic bird. Steel ring that depicts a large dark, rock, or gothic bird. He is aggressive and with a bad expression enough.